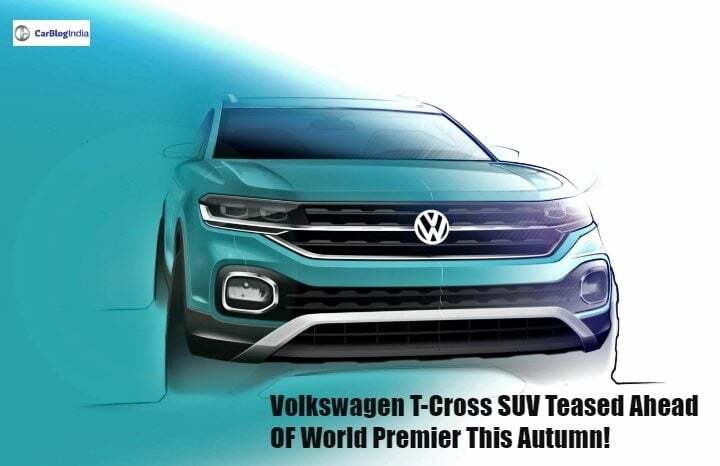 Volkswagen T-Cross compact SUV will compete against the Hyundai Creta upon its launch in India. Teaser video shows exterior and interior design sketches. The Volkswagen T-Cross compact SUV will make its global premier by the end of this year. Ahead of its official debut, the German automaker has now released a teaser video highlighting the exterior and interior design sketches of this urban utility vehicle. The T-Cross will be Volkswagen’s smallest compact SUV ever made. And due to these compact credentials, it will launch in India soon afterwards its global launch in the first quarter of 2019. The Volkswagen T-Cross is based on the automaker’s MQB A0 platform. This is the same underpinnings which the 2018 Volkswagen Polo uses. However, the latest buzz in the media suggests that for India, Volkswagen is going to slightly alter the T-Cross and might use an altogether different platform to keep the costs low. Whatever it may be, this urban utility vehicle will remain true to its compact dimensions. That said, it will measure above 4-meters in length and hence compete against the likes of Hyundai Creta and the others in this segment. Coming back to the teaser images. One can clearly see that the T-Cross retains several design cues as were seen on the T-Cross Breeze concept. The front fascia is traditional Volkswagen with a bold design, huge grille and sleek headlamps. A similar story continues when talking about the rear of this SUV as well. 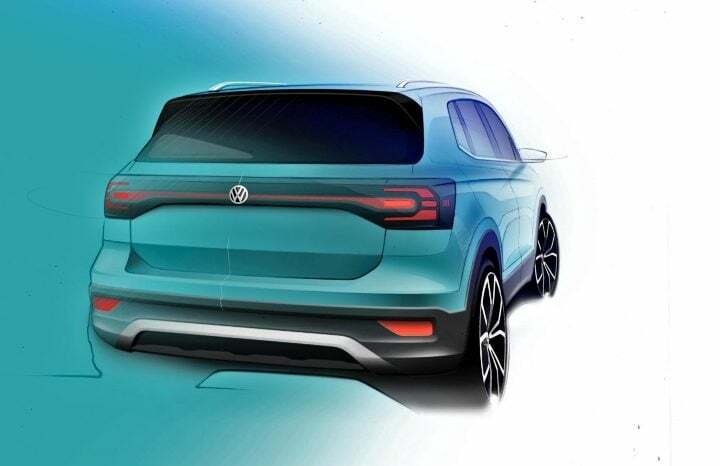 All that said, the design looks quite youthful and is bound to attract young buyers or those who want something different and unique from the current breed of compact utility vehicles. The interiors, just like the exteriors, posses a breath of fresh air. The dashboard is neat and clean and does remind us of the next-generation Volkswagen Polo on sale in the European markets. Just like the hatchback, the T-Cross too is going to come with a large central screen, a water flow dashboard design and funky dual-tone colour scheme for the cabin. The design of the interior panels is going to be sharp and stylish. Comparing it to that of the Creta, the T-Cross’s cabin might just look a bit more youthful and contemporary. In the international markets, the Volkswagen T-Cross is going to go on sale with a variety of powertrain options. There will be two petrol and two diesel engines on offer. In India however, this will limit to just one engine in each guise. Both manual, as well as automatic transmission options, will be on offer. Price for the Volkswagen T-Cross in India is likely to start from INR 9 Lakh and go up to INR 14 Lakh for the top-spec variant. This will put it right in the mix with the likes of Hyundai Creta and the Jeep Renegade if the later does launch in India anytime soon.